The position of the Qur'an as the central symbol and reference point of Islam cannot be disputed. Despite this significance, the academic study of the Qur'an has lagged far behind that of the Bible. 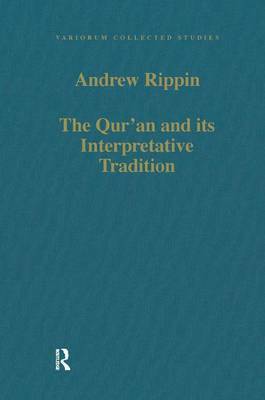 In these studies Andrew Rippin reflects upon both the principles and the problems of studying the Qur'an within the discipline of religious studies. He also pursues detailed investigations of the meaning of variants to the text and the history of Muslim interpretation of the text in its diversity. A newly written introduction lays out some of the general implications of these studies, while extensive indexes of Qur'anic verses, books, authors and topics make this research more readily accessible.